Former Real Housewives of Beverly Hills star Kim Richards will appear in the next season of Marriage Boot Camp: Reality Stars with her secret boyfriend of six years, Wynn Katz, and she says she is in a “peaceful place” now that her Housewives days are over. This week, Richards was at the Boot Camp premiere, and she talked about how happy she is to no longer be on RHOBH. 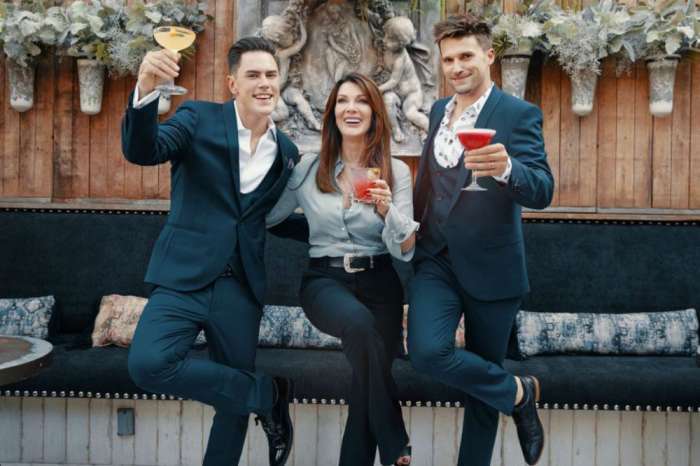 The 53-year-old starred on the Real Housewives of Beverly Hills for five seasons alongside her sister, Kyle Richards, and she also came back as a guest star for two more. Richards and Katz walked the red carpet and attended the celebration for Boot Camp: Reality Stars last Wednesday, and their debut shocked many since no one knew they were a couple. Richards explained that they simply managed to keep it private, but it felt recently like it had stalled, and she thought the reality show would be their shot to fix things. However, according to Radar Online, Richards is already stirring up drama outside of the show because multiple sources say that she is lying about her relationship with Katz, and it is a sham. A close family friend says that Richards has not had a boyfriend for six years and it is a “complete lie.” And, one of her relatives is apparently saying that Richards started dating Katz two years ago. She also said in 2015 that she was in a relationship with entrepreneur Todd Jason Voisine. Richards and Katz will be part of Marriage Boot Camp: Reality Stars which premieres September 7th on WE TV. As for Real Housewives of Beverly Hills, actress Denise Richards (no relation to Kim Richards or Kyle Richards) is joining the cast for season nine, and it will be premiering on Bravo later this year.